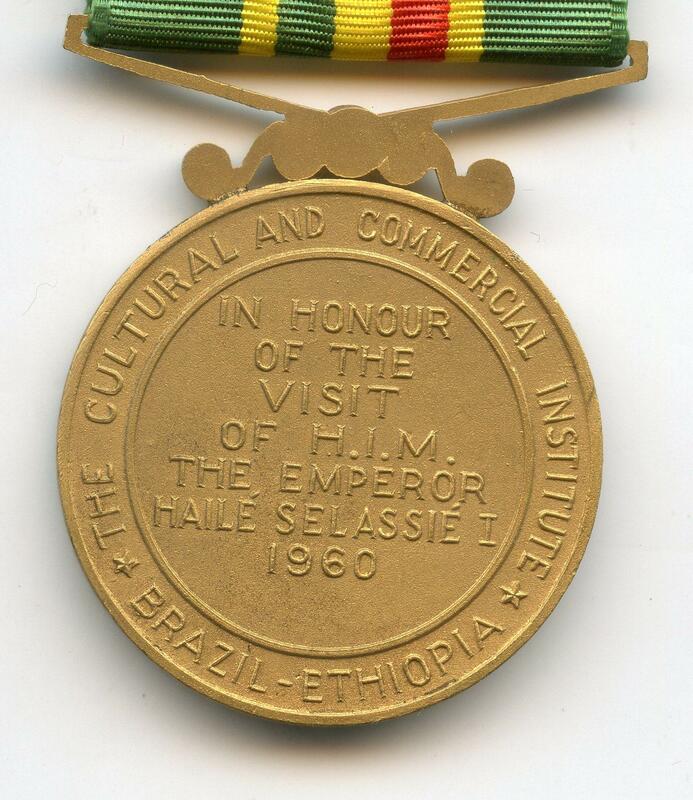 I had the opportunity to catch this medal, which despite not being an official State Medal, is the commemorative Medal for the Visit of Emperor Haile Selassie to Brazil. The medal was issued by the Institute for Trade & Culture Ethiopia/Brazil. 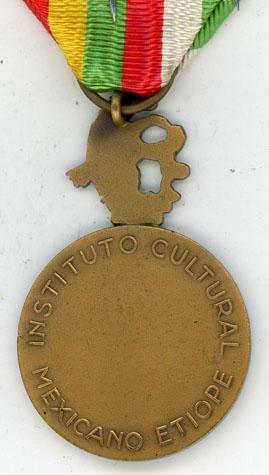 Due to its fabrication, this medal was struck in Brazil. The signature of the engraver : L.Morrone-Panelli is near the edge on obverse. The medal which is 34 Millimeters in Diameters has also its ribbon of 34 Millimeters width. 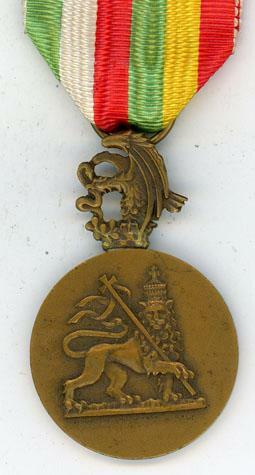 The miniature of this medal exist. 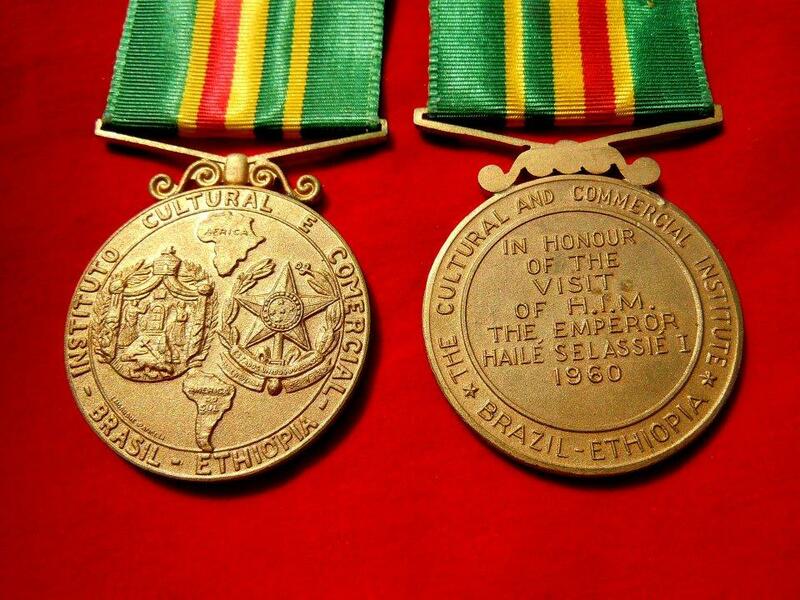 The Emperor had to cut short this trip to Brazil, because of a tentative of coup d'etat in Addis Abbeba. But the medal has at least been awarded. I'm blessed to have both, and the miniatures of both. 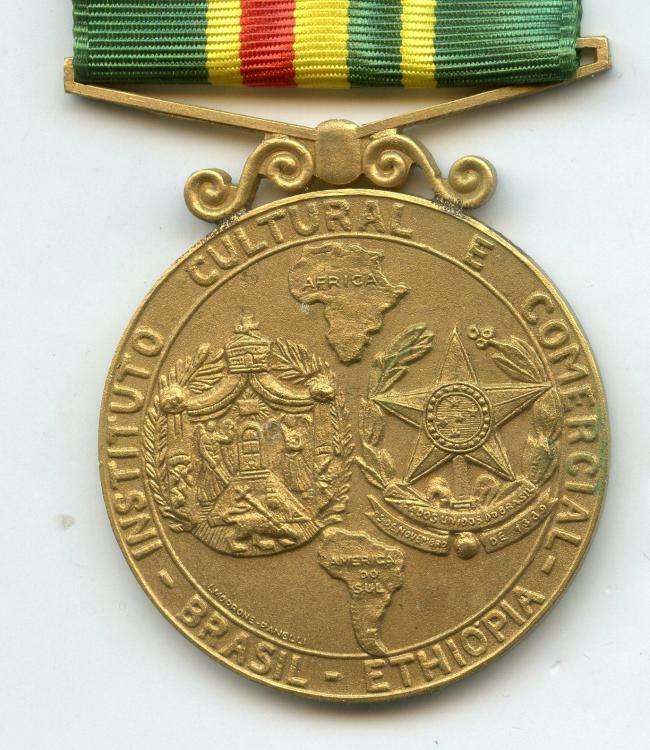 Please be in touch any time I can help with the identification or acquisition of any Imperial Ethiopian Orders, Medals or Insignia.